From the MARCO POLO Airport, a 20-minute bus ride takes you to Venice. 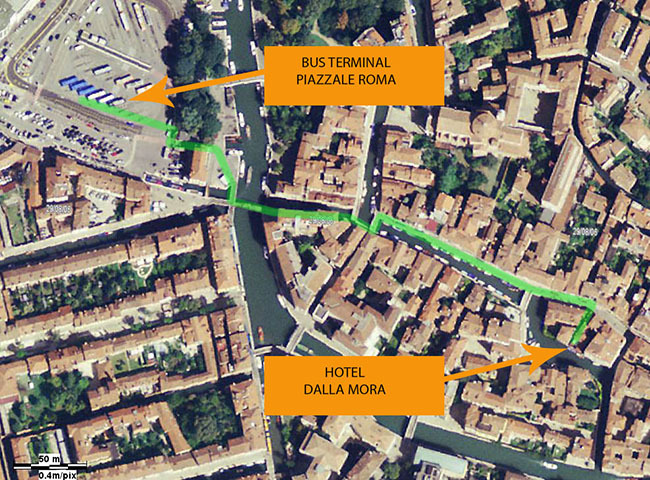 Once you get off the bus, it is a 10-minute walk to the hotel. See the map below for the exact route. The bus schedules can be found on the link: ATVO. You can also take the ALILAGUNA boat service, but it is much slower – a 1 ½ hour ride – and therefore not recommended. The boat schedules are found here: ALILAGUNA. 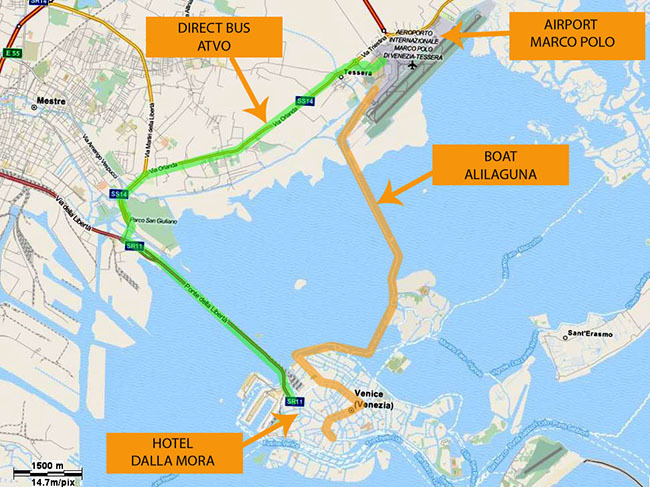 From the TREVISO Airport, there are buses that go directly to Venice, the trip takes 50 minutes. 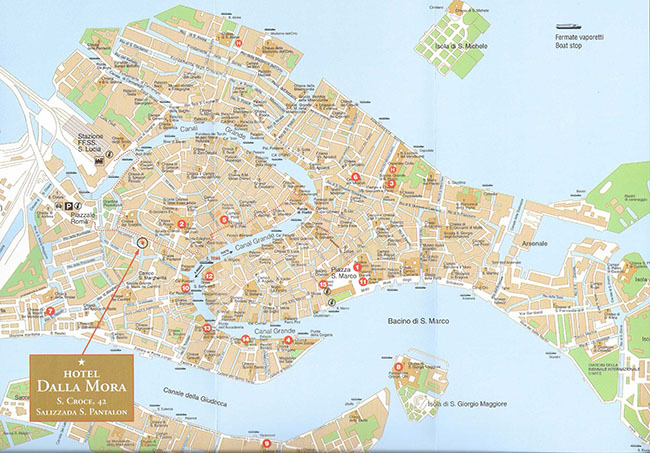 Once you get off the bus, it is a 10-minute walk to the hotel. See the map below for the exact route. 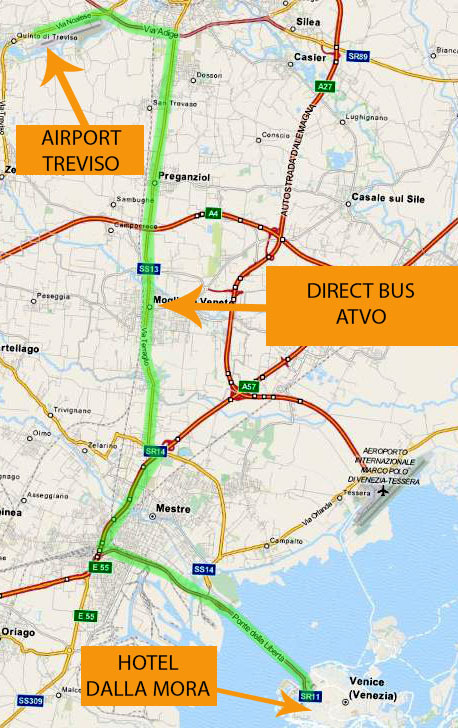 The bus schedules can be found on the link: ATVO. 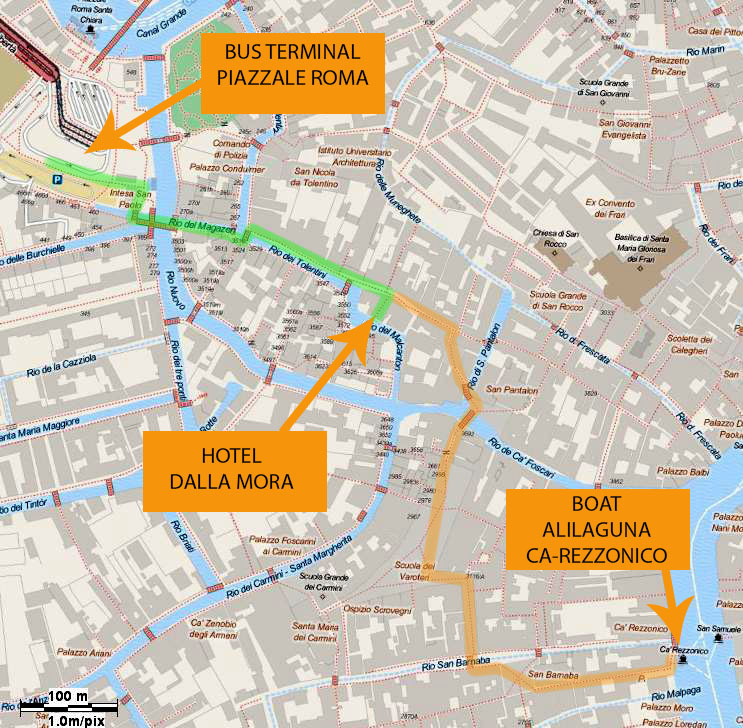 The green route is for those who arrive at the bus terminal in the Piazzale Roma. The orange route is for those who arrive with the Alilaguna boat service at Ca’ Rezzonico boat stop. The route shown is that for walking to the hotel Dalla Mora from the bus terminal. 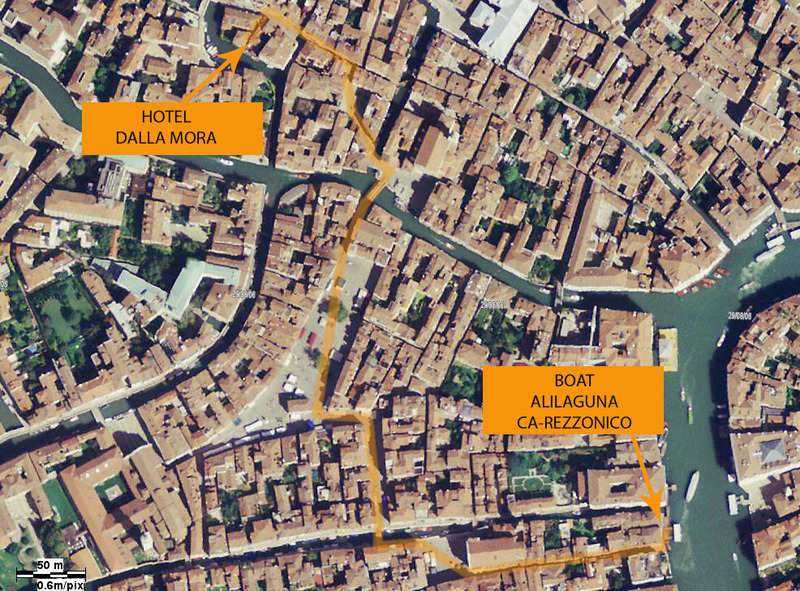 The route shown is that for walking to the Hotel Dalla Mora from the arrival point of the Alilaguna boat service at Ca’ Rezzonico boat stop.